Swami Sitaramananda is a senior disciple of Swami Vishnudevananda, who is a direct disciple of Swami Sivananda. She was nominated acharya by him in 1989 and is presently acharya of US West coast Centers and Ashrams as well as Asia, especially Vietnam and China. She has been director of the Sivananda Ashram Yoga Farm for more than 20 years and has taught many international Teachers Training Courses in California, Vietnam, China, Taiwan and India and is also teaching regularly at Sivananda Ashram Yoga Retreat, Nassau Bahamas. She is the author of Positive Thinking Manual, Essentials of Yoga Practice and Philosophy(translated in Chinese, Japanese and Vietnamese) and Swamiji Said, a collection of teachings by Swami Vishnudevananda in His Own Words as well as two poem books. She is responsible for the Vietnamese translation of The Completed Illustrated Book of Yoga by Swami Vishnudevananda. Some of her audio lectures on Yoga Life, articles and webinar presentations can be found on the website. Swami Narayanananda was born in London. He is now based at the Sivananda Ashram Yoga Farm in Grass Valley, CA and teaches internationally. 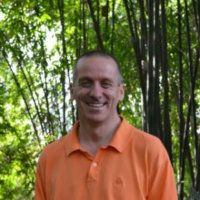 He has been involved fulltime in Yoga since 1996 and took Teachers Training in India in 1999. He is a disciple of Swami Vishnudevananda and has been a senior teacher of the International Sivananda Yoga Vedanta organization for 17 years, teaching in countries such as India and Vietnam, and, most recently, in our Sivananda Yoga Center in Chengdu, China. He has been director and teacher in the Sivananda Centers in Chicago and New York City and assistant director of the Sivananda Ashram Yoga Farm. Swami Narayanananda teaches Yoga and Meditation and has trained teachers in Yoga Teacher Training and Advanced Yoga Teacher Training Courses in the USA, India, Taiwan and Vietnam. Swami Adi Parashaktiananda is a dedicated Sadhak and Hatha Yoga practitioner and teacher, graduated from Sivananda Teachers Training Course in 2007 at the Sivananda Ashram Yoga Farm in Grass Valley, CA. He took the first monastic vow from Sivananda lineage in 2011. He has been traveling yearly to Vietnam as Swami Sitaramananda’s assistant and has been teaching the Hatha Yoga classes for the Teachers Training Course. He has also been traveling to Chengdu, China to help teach the Teachers Training Course there. He also teaches a 7-day Hatha Yoga Sadhana course and the 14-day Sivananda Sadhana Intensive course, whose emphasis is on individual practice of pranayama. He took sannyas vows in 2017 and received the name Swami Adi Parasahktiananda. Ganga My Hoang hails from Vietnam. She graduated from the International Sivananda Yoga teacher training course in 2009 and Advanced yoga teacher training course in 2010 at the Yoga Farm in Grass Valley, CA, USA. She is also a graduate of the “Yoga as Medicine”, “Yoga Psychology”, and “Ayurveda and Yoga Wellness” courses. After a few months service at the Sivananda Yoga centers in San Francisco and Grass Valley she returned to Vietnam and assumed responsibility of directing the Sivananda Yoga Centre in Ho chi minh City. She has been director of the HCM center since 2010 and has overseen the now flourishing center where more then 400 students come per week. Xihua Chen (Sivani) started her yoga journey in 2011 in Europe and took her Sivananda Yoga Teachers’ Training Course in France and her 500-hour training in 2014 in India. 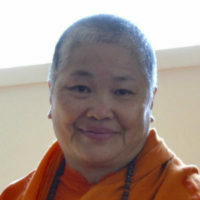 She has been translating for Swami Sitaramananda since 2014 in both Vietnam and China. She is an excellent translator between Chinese and English and has opened and directs the first ever Sivananda Yoga Center center in Chengdu, China since 2015.